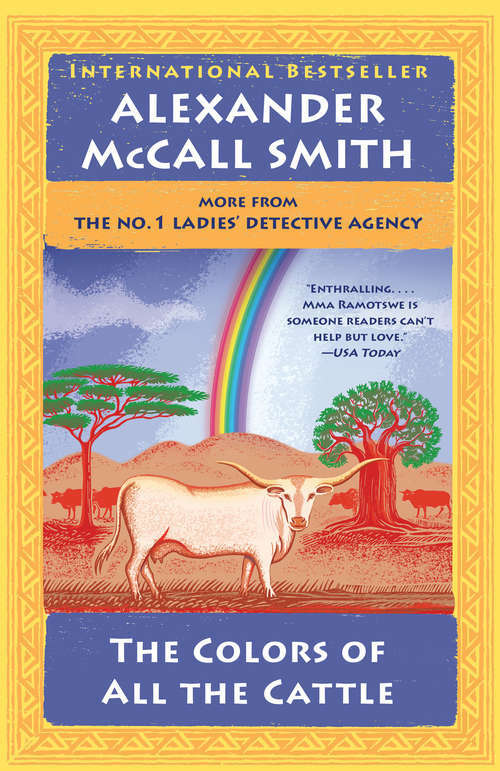 Precious Ramotswe dips her toe into the world of politics in the newest addition to the beloved and bestselling No. 1 Ladies' Detective Agency series.When Mma Potokwane suggests to Mma Ramotswe that she run for a seat on the City Council, Mma Ramotswe is at first unsure. But when she learns about the proposed construction of the flashy Big Fun Hotel next to a graveyard, she allows herself to be persuaded. Her opponent is none other than Violet Sephotho, who is in the pocket of the hotel developers. Although Violet is intent on using every trick in the book to secure her election, Mma Ramotswe refuses to promise anything beyond what she can deliver--hence her slogan: "I can't promise anything--but I shall do my best." To everyone's surprise, she wins. As it turns out, politics does not agree with Mma Ramotswe. Though everyone is supportive, she eventually resigns. She thinks there will be a new election, but she discovers that the rules state that in such an event, the runner-up automatically takes the seat. Violet is triumphant, and sure that she will get the Big Fun Hotel planning application through without a hitch. But Mma Makutsi and Mma Potokwane are not about to make it easy for her. Through it all, Mma Ramotswe uses her good humour and generosity of spirit to help the community navigate divisive issues, and proves that honesty and compassion will always carry the day.